Malaria likely killed many more people than usual in the West African nation of Guinea during last year's Ebola outbreak, a new study suggests, as tens of thousands with potential signs of the mosquito-spread disease probably shunned health clinics. The early symptoms of malaria — a fever and body aches — are similar to Ebola. Health workers said many people with malaria were afraid of catching Ebola at a medical facility or being mistakenly sent to an Ebola clinic. Experts based their conclusions in part on things like how many people with malaria symptoms were seen at health clinics in four regions hardest hit by Ebola, and how many malaria medicines were given out. They compared that to regions without Ebola and concluded there were about 74,000 probable malaria cases that went untreated. 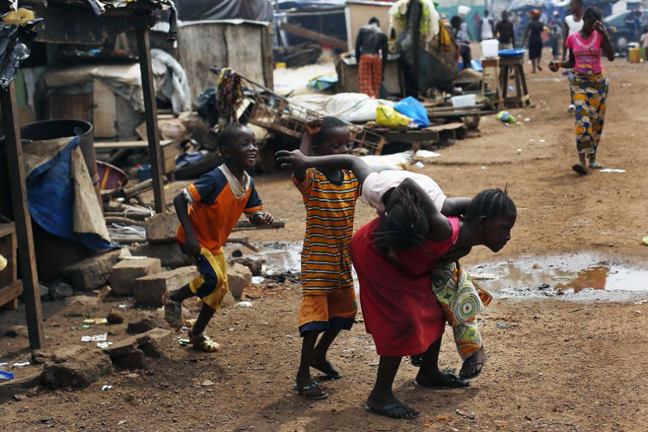 Malaria is the leading killer of children in Guinea. Since the Ebola outbreak was first identified in the forests of Guinea in March 2014, officials estimate the virus has killed more than 2,400 people in the country. In 2013, about 15,000 people in Guinea were killed by malaria, according to Nets for Life Africa, a U.S. charity. Mateusz Plucinski of the U.S. Centers for Disease Control and Prevention, who led the study, said it was difficult to say how many people among the 74,000 suspected cases might have died of malaria but that it was probably "substantially higher" than the number of Ebola deaths. The research was paid for by the Global Fund to Fight AIDS, Tuberculosis and Malaria and the U.S. President's Malaria Initiative. It was published online Tuesday in the journal, Lancet Infectious Diseases. In an email, Franco Pagnoni of the World Health Organization said "the collateral damage of epidemics is a known phenomenon" and that aid workers should try to lessen such effects. He said it was possible Ebola could have also caused spikes in malaria cases in the other countries heavily affected by Ebola, which could have undermined previous efforts to curb malaria. Health officials also worry the stress of the Ebola outbreak on Guinea's weak health system also resulted in a drop in vaccination coverage, putting the country at risk of a resurgence of diseases like measles and polio.